Newport News, Va. (June 30, 2006) - Artist Rendering - A conceptual rendering of CVN 78, the first of a new generation carrier design, CVN 21, for the US Navy, underway at Northrop Grumman Newport News. Construction is slated to begin in 2007. 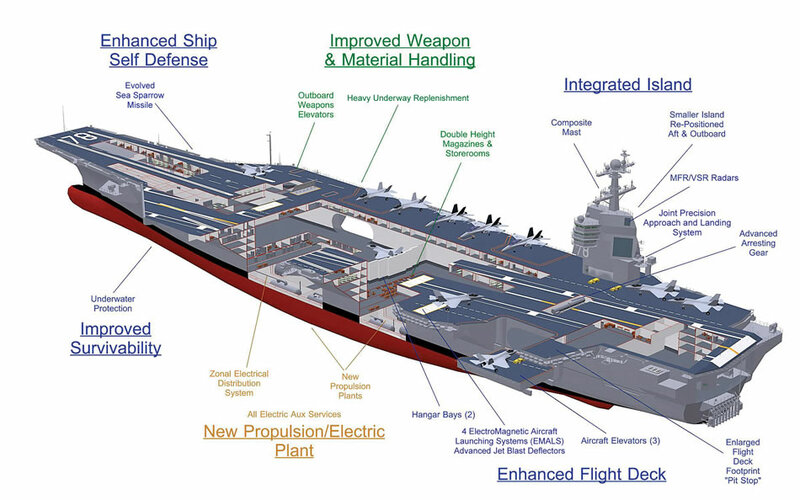 Innovations for the next-generation aircraft carrier include an enhanced flight deck with increased sortie rates, improved weapons movement, a redesigned island, a new nuclear power plant and allowance for future technologies and reduced manning. U.S. Navy Illustration courtesy Northrop Grumman Newport News Shipbuilding.